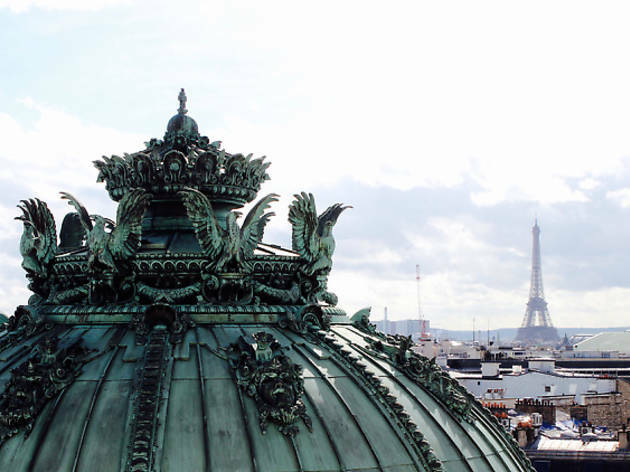 Slap-bang in the centre of the city, the Opéra area offers visitors the ideal location; a hop, skip and a jump from the grands magasins (the main Parisian shopping area), Place Vendôme and Gare Saint-Lazare, it's perfectly positioned for discovering the city. 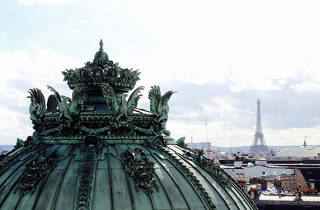 Check out our selection of three, four and five star hotels within reach of the Palais Garnier. Just a few metres away from Paris’s Comédie-Française theatre you’ll find Nolinski, a luxury hotel created by Pierre Bastid and Emmanuel Savage with the help of interior designer Jean-Louis Deniot. 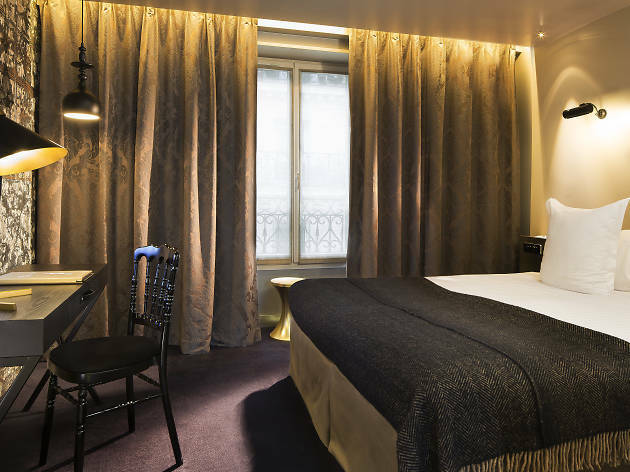 Spread over six floors, Nolinski and its 45 rooms (including 9 suites) offer a taste of the calm, sophisticated Paris sweet life. 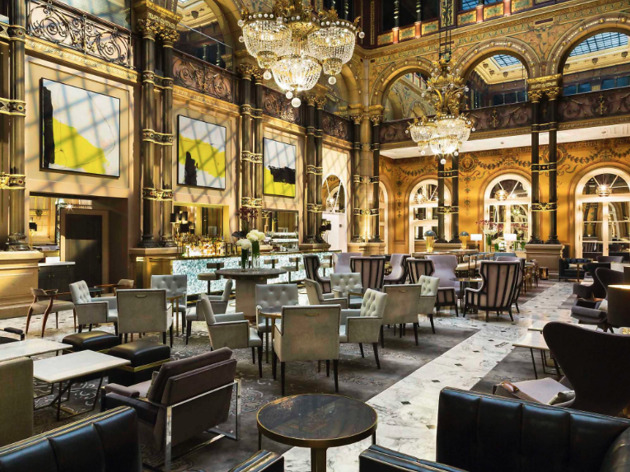 Immersed in the golden extravagance of Opéra, this luxury five-star hotel is designed to ensure a relaxing experience for all. Opposite Opera Garnier, sits a classic Haussmannian building which houses the recently renamed W Paris-Opéra. The latest member of the Starwood Group, the W is at your beck and call – and that’s not just a code of conduct, but a trademark: Whatever-Whenever. 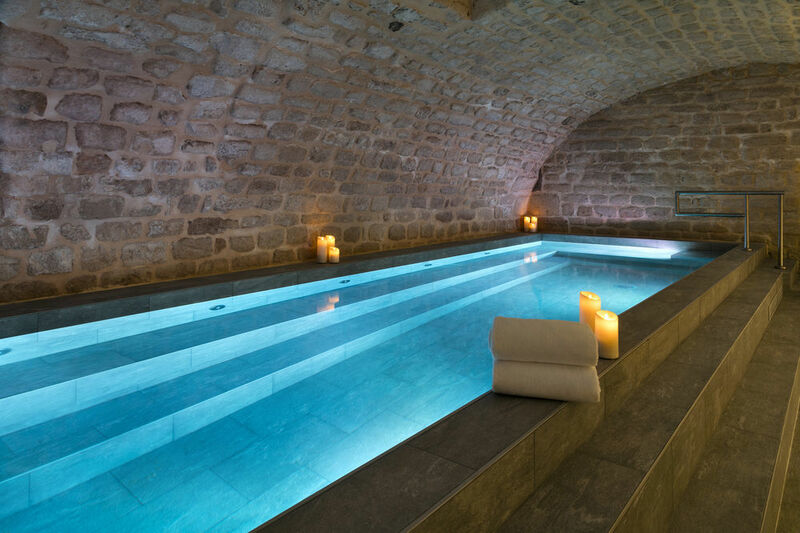 The unique concierge service, for example, organises gourmet picnics or shopping sessions in luxury boutiques. 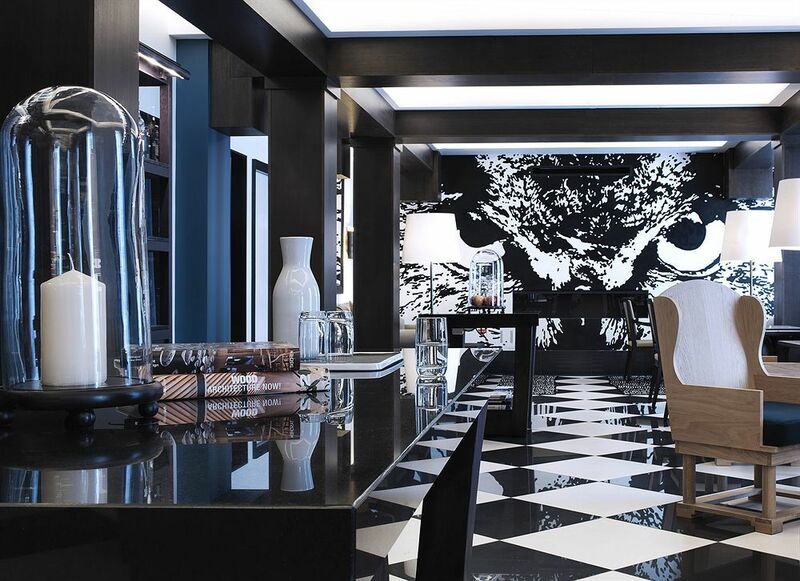 The W’s aesthetic is strong: contemporary art is everywhere, ranging from photography to furniture and fuses perfectly with the building’s original details. 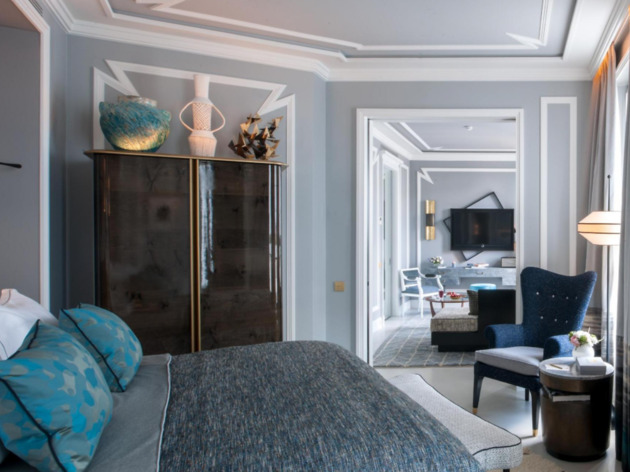 With Opéra on one side and Tuileries on the other, the four-star Le Pradey offers 28 bright and well-appointed rooms recently renovated by architects Vincent Bastie (who also worked on the Burgundy and the Costes). It’s refined with some seriously elegant touches, such as the mezzanine lounge floor above the reception area. There’s fine books and magazines to pore over with a drink from the honesty bar too. 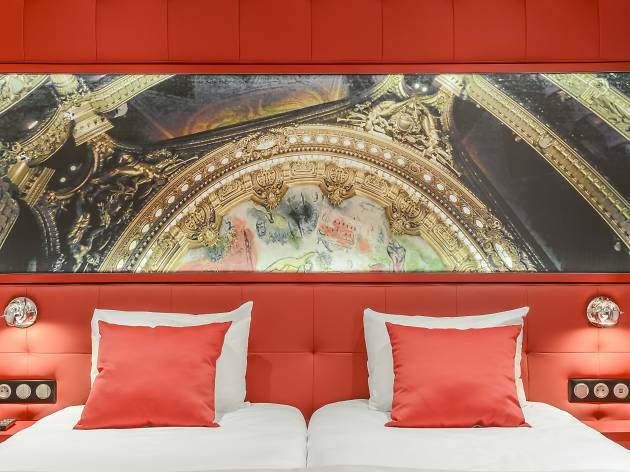 Just a few steps from Gare Saint-Lazare and only five minutes walk from department stores Printemps and Galeries Lafayette is an immense building steeped in history. 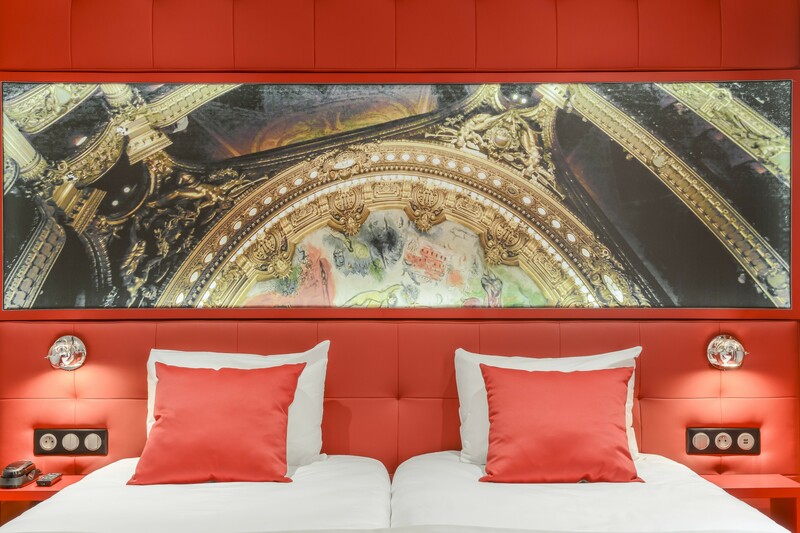 Built in 1889 to host visitors for the Exposition Universelle, the Hilton Paris Opera comprises 268 rooms, of which 29 are suites and it has recently undergone refurbishment to restore it to its former glory. The entrance is marked by four impressive marble columns and the Grand Salon sits under a striking 14m high glass roof, a classy space decorated with frescoes, chandeliers, colonnades and contemporary paintings. 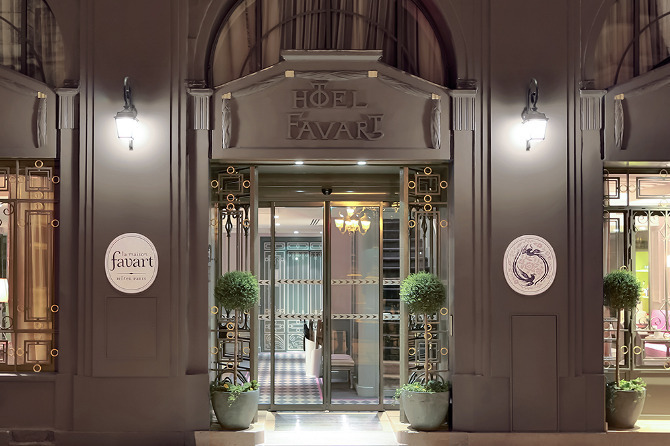 La Maison Favart might be as close as you’ll get to heaven on earth. 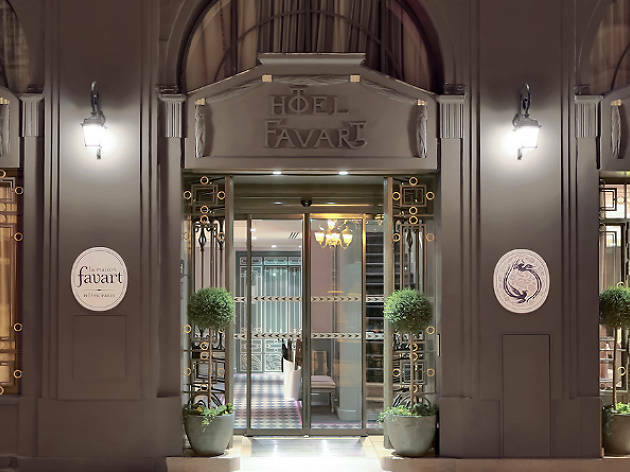 Nestled in the confines of the 2nd arrondissement, on the discreet rue Marivaux, the hotel has been neighbours with the Opéra-Comique since 1824. Staff are warm and smiley, while decor is clean without being puritanical, refined and elegant with its pastel tones and plaid carpets. Upstairs, rooms are the perfect combination of discreet charm, atmospheres of yesteryear and more contemporary details. 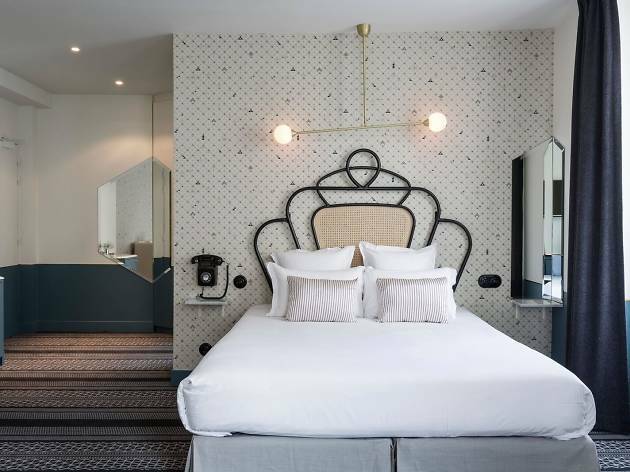 This typically Parisian hotel is located in the centre of the city on the tiny rue Buffault and just a few steps from rue du Faubourg Montmartre, it has 71 rooms and looks onto the Parisian rooftops. 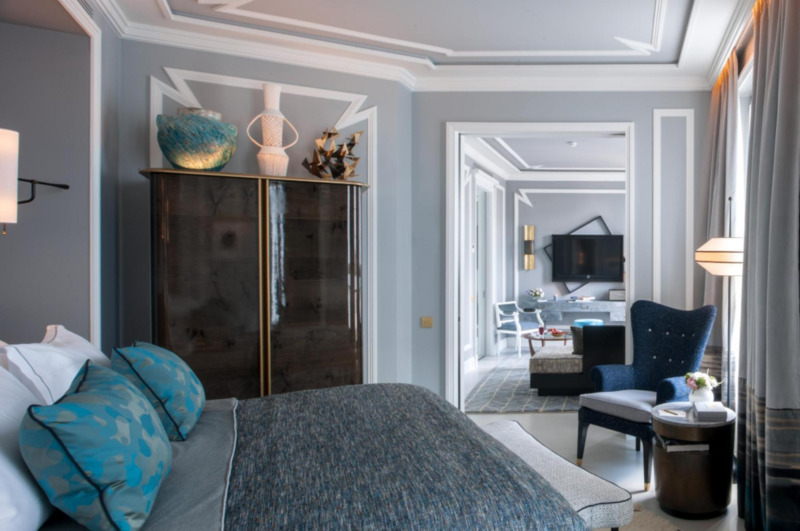 It's the perfect pied à terre for tourists and travellers who want to make the most of the city in a comfortable, well-situated (it’s five minutes from Grands Boulevards and ten from les grands magasins), with careful, original decor. From the textured wallpaper to the heavy brown curtains, no detail has been left to chance – think of it as Parisian with a British undertone. Setting up a stone’s throw from the former Bibliothèque Nationale de Richelieu, in an area long frequented by arts students, literary spirit has naturally bled through the walls here. Scattered about are photos of famous Parisian figures, such as a black and white portrait of Proust and his legendary moustache. 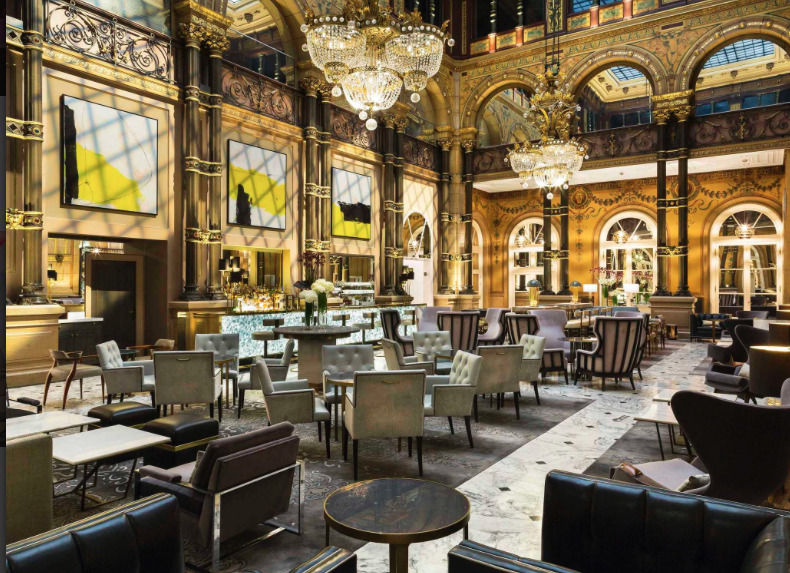 Decor is the perfect balance between Haussmannian tradition and modernity – the reception may be a little too opulent but the rest of the place is beautiful. 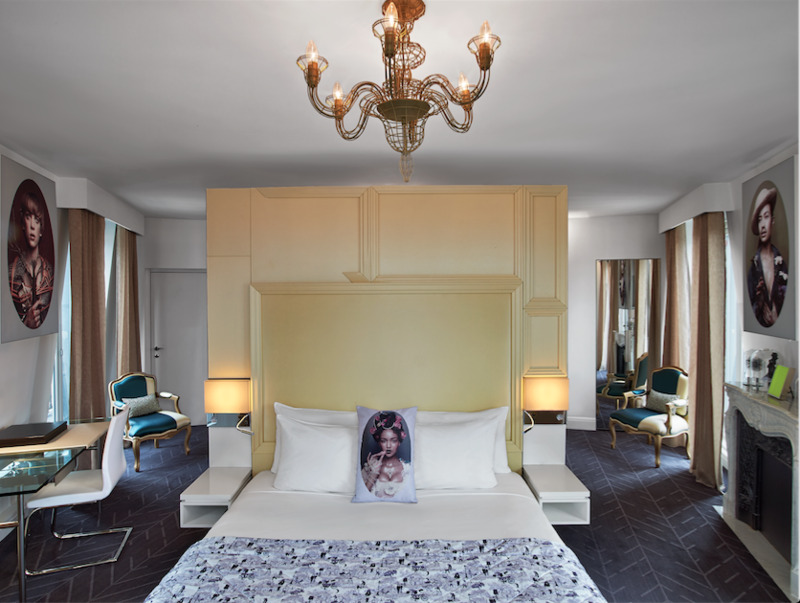 Tucked away on a quiet road between Bonne Nouvelle and Strasbourg Saint-Denis, near the famous Palais Garnier opera house, Régina Opéra offers an exotic stay at a very reasonable price. With the opera house on its doorstep, it is only natural the hotel should be opera-themed. The corridor and the reception area set the tone, with the space behind the reception desk styled on Chagall’s famous ceiling of the Opéra Garnier. 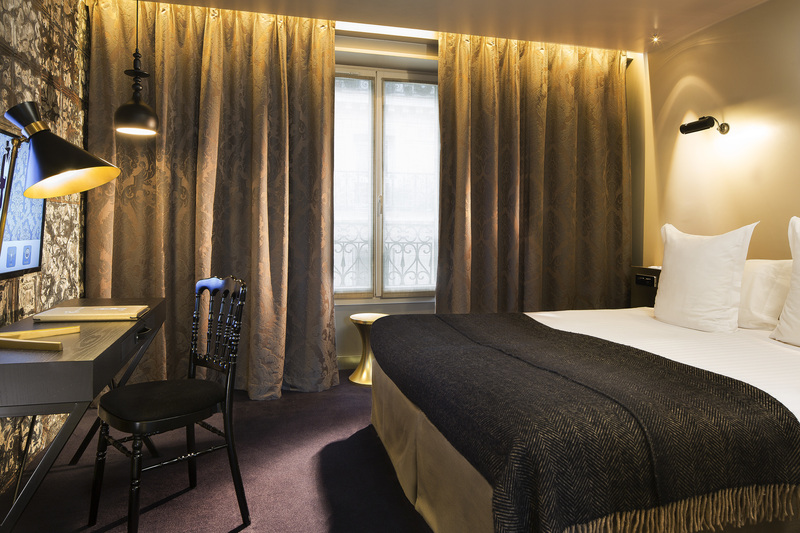 The bourgeois-bohemian Hotel Panache is on the corner of Poissonnière, one of the liveliest streets in the 9th. 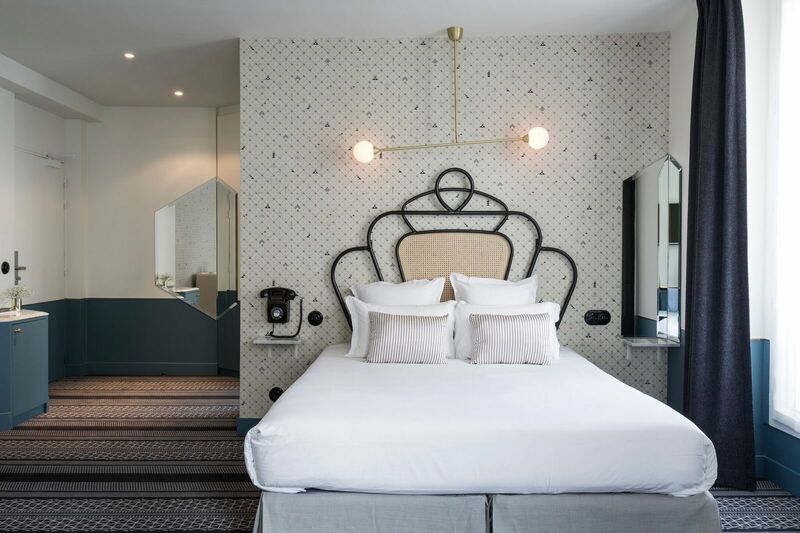 Adrien Gloaguen chose this area, wedged between SoPi (South Pigalle) and Grands Boulevards carefully for his hotel-restaurant comprising thirty-eight very Parisian rooms decorated by the excellent Dorothée Meilichzon – who also designed the Hotel Paradis. The Panache, which was once named “l'Opéra-Madrid” may be three-starred but it has serious class. 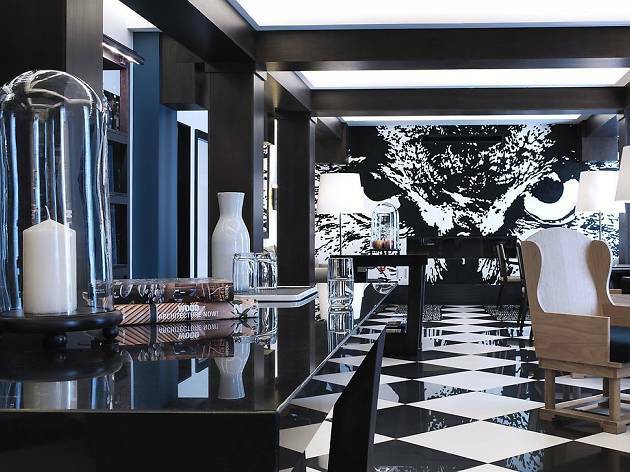 It’s a long way from the flashy facades of other four-star hotels, so much so that you could pass the Chess Hotel without ever casting a second glance. 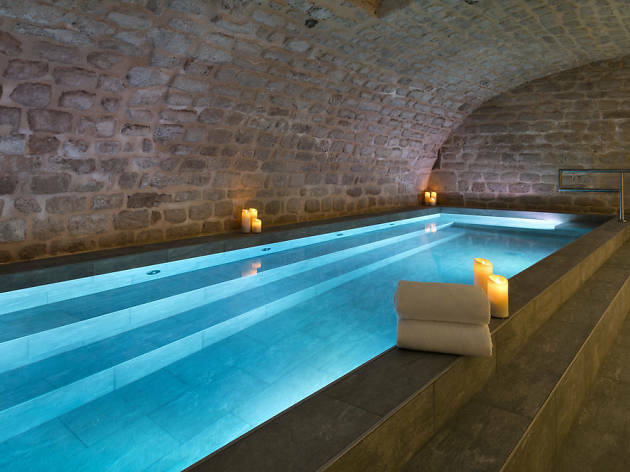 The entrance is through the discreet rue de Helder, running perpendicular to Boulevard des Italiens, to find this mysterious spot. Ring the intercom and cross a huge corridor which opens onto an elevator.